If you've successfully started up a blog on blogger.com and has not turned off the visibility of the blog to search engines. You should proceed to Google Search console otherwise known as Google webmaster tools to configure your site for better traffic from Google and structured pages display on search results. 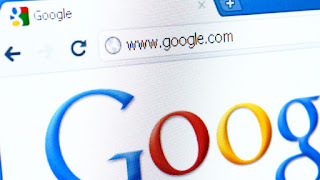 Although, after launching your blog and writing some articles, it is possible to start seeing some few page views via Google but with the complex nature of search engines, you will be getting very low organic traffic from Google if you do not submit the sitemap for that site to enable Google index all your site pages. This tutorial will, therefore, guide you on the sitemap submission process on Google search console. 1. Login to www.google.com/webmastertools and sign in with your Gmail account. 3. You will be asked to verify the site. So, just copy the meta tag and paste into the HTML section of your blogger. Sign in to your blogger account > click on the blog you want to edit > Template > edit HTML. Then paste immediately below the <head> tag as instructed. 5. Now, you have to submit a sitemap for google to crawl your site.Go back to the google webmaster dashboard or (home) and click the ‘Add’ link which is next to your blog name and in the Sitemaps column. Choose ‘Add general web sitemap’ from the drop-down menu and type sitemap.xml next to your blog address. In my next post, I'll be writing about how to submit blogger blog's sitemap to MSN and Ask.com So, don't forget to subscribe to this blog to get the update as soon as it drops. Cheers!